A couple of weeks ago I wrote about how right turns for cyclists should be allowed at red lights. So it was refreshing to click onto a link sent by a number of Danish readers this morning. 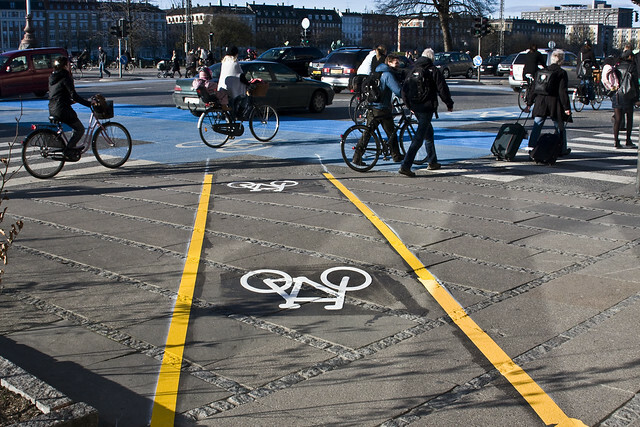 The headline was enough to get us excited: Copenhagen Ready to Allow Right Turns for Cyclists at Red Lights. The national police have announced that it will be up to local authorities to decide if they wish to pass bylaws allowing right turns for cyclists at red lights as well as allowing them to continue straight on at T-intersections. The police have traditionally had a less than positive attitude towards making life easier for cyclists. Their announcement comes as a pleasant surprise. "It's a fantastic, liberating announcment. 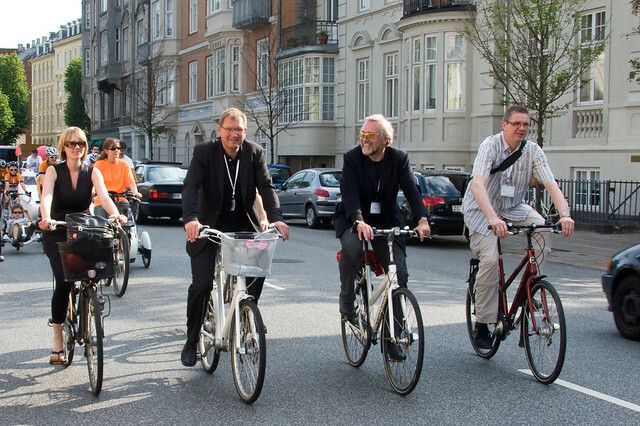 We want to be the best bicycle city, therefore we need to get more people onto bikes. And the more we can spoil our cyclists, the more people we can get up onto their bicycles." 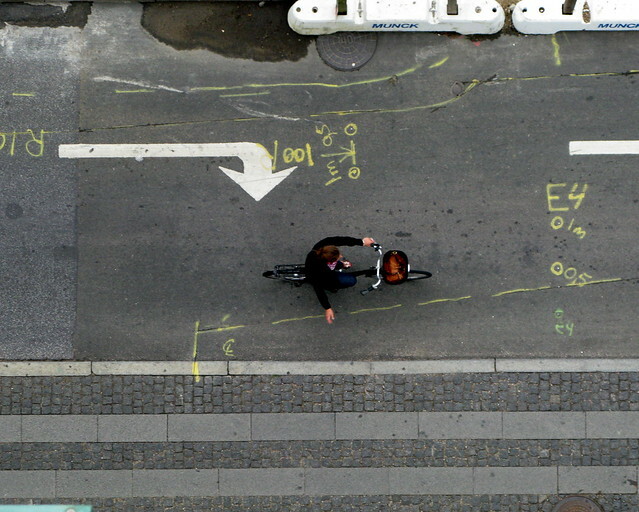 "Today many intersections are set up in the old-fashioned way, where cyclists have to stop for red lights even though they could turn right without bothering the other traffic users." Turning right on red is an everyday occurrence - I do it all day long if there are no pedestrians - and there is no reason that cyclists shouldn't be able to do so legally. "In some places it's quite ridiculous (that it's not allowed)", says Bo Asmus Kjeldgaard. "And sometimes what people do is common sense", he adds. I've read that last sentence happily again and again. The above Desire Line is a fine example of following peoples common sense and the City adjusting the infrastructure to the peoples behaviour. Read more about the Desire Line in our earlier post. Bo Asmus Kjeldgaard says he will ask the Dept of Transport to compile a list of places where, with few and simple adjustments, right turns can be implemented. Starting with the most obvious places to begin with. David Hembrow has this great little film about right turns on red as well as other interesting advantages for cyclists from his town of Assens in the Netherlands. And here is his blogpost about the film. Copenhagen politicians? Are you watching? I never did get my christmas wish fulfilled from last year - 30 km/h zones in the city - but this red light turning business is a lovely little pre-yule present. Via: Politiken's article (in Danish) - "København klar til at tillade cykelsving for rødt"
Related article (in Danish) - Politiet: Lad cyklister højresvinge for rødt / Police: Let cyclists turn right at red lights.